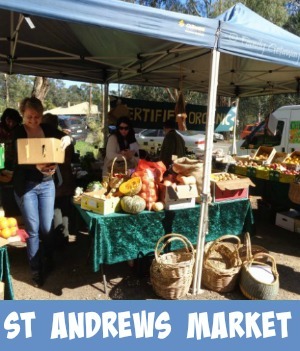 This quaint country market is held on the last Sunday of the month, do check the December dates though, high up in the Dandenong Ranges. During the summer months watch for CODE RED, as the market will be canceled when the fire danger rating is Code Red for this Central district. 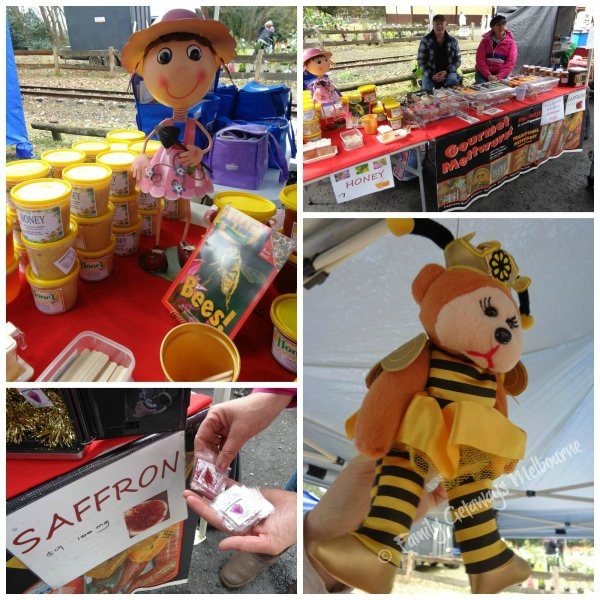 Situated alongside the famous Puffing Billy rail station, the market makes for a fantastic tourist destination as the lttle steam train arrives while the market is in full swing. The stalls are set up outside under the Himalayan blue pine trees. It is, however, best to become prepared for all weather conditions. 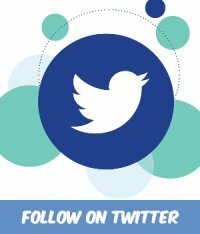 Please note also that during the winter months it can become quite cold so make sure you are rugged up and warm. a variety of organic or carefully home grown food. 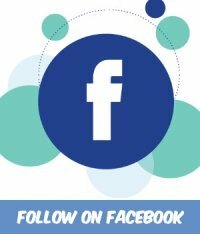 Where Is The Gembrook Market Held? 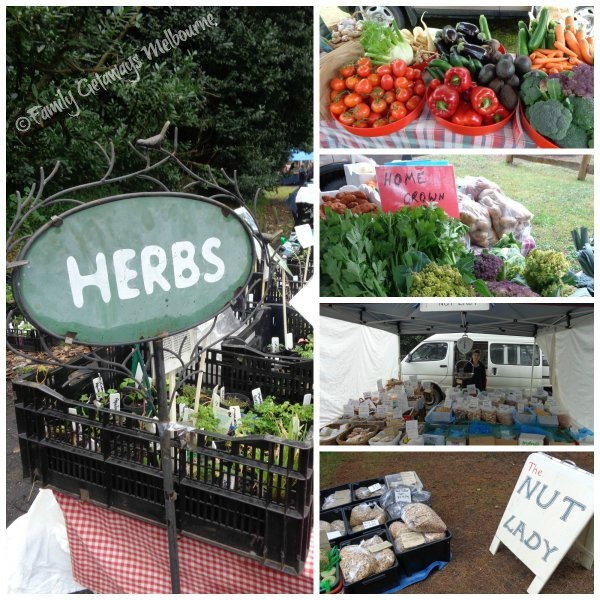 For those driving, the Gembrook market is located in Main St Gembrook (Melway ref 312 K10). Check the Google map here and click through to the larger map. Enter your starting point and follow the directions. 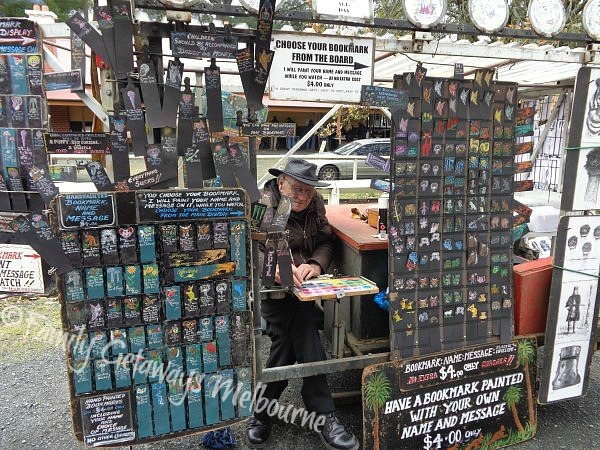 The other enjoyable way to reach the market is to catch the Puffing Billy steam train from any of the stations between Belgrave and Gembrook. Book your ticket through the Puffing Billy Website to secure a seat. Please Note - On Total Fire Ban days the Puffing Billy does not run. There are plenty of food stalls offering a delicious selection of hot and cold meals. Hot tea, coffee, chocolae are also available along with cold drinks. 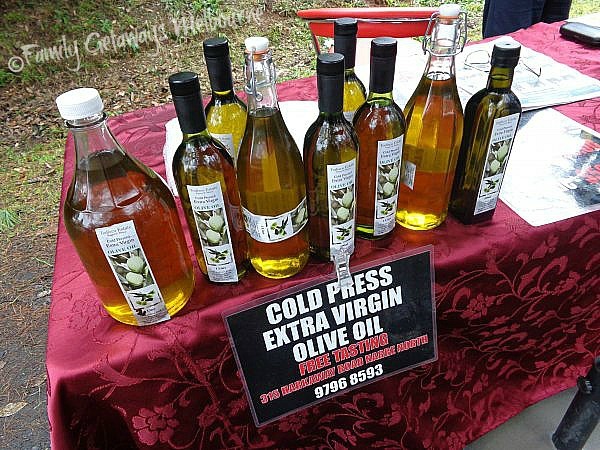 Local produce is featured regularly like Todisco Estate Extra Virgin Olive oil and quality Pinot Noir and Chardonnay ... yummy. Check out this small selection of 'goodies' for sale. 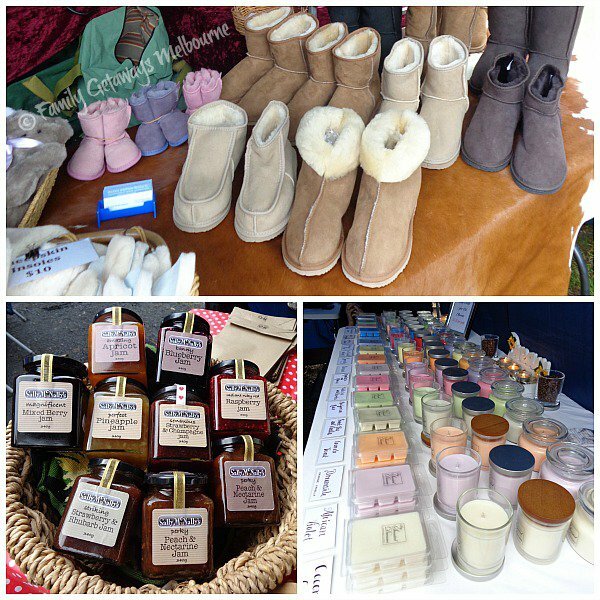 Qenuine handmade ugg boots, gloves and slippers are for sale made by Snuggs Sheepskin Products along side delicious smelling natural soy candles and soaps provided by Soy Scented Dreams. Sally McNally's scrumptious jams, marmalades, fudges and lemon butter look and taste delicious. Years ago, when I started attending markets as a seller, this market was one where I used to sell my Australianna. Leo form Leo Art was there then and still is today. Always offering true blue 'Aussie' humour, Leo supplies the shopper who is looking for that little special piece of Australia to send or give away. Personalized and hand painted right in front of your eyes, Leo product is unique. 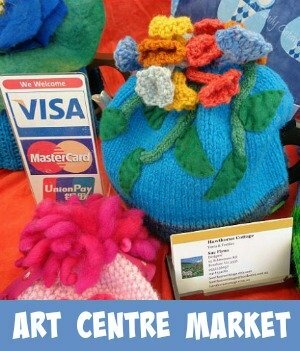 Drop by and say hello next time you visit the market. A table laden with beautiful, natural honey from Bees Honey, Salami Shack traditional salami and mettwurst and a pleasant surprise finding homegrown Saffron. What a stall. The market has a real desire to help the Community and offers a free site at every market for a Community Group to 'fund raise' selling BBQ sausages and hamburgers. There are other areas near the market where the kids can play such as the J.A.C Russell Park. This is adjacent to Puffing Billy Station and provides gardens, children's play area, a bandstand, undercover picnic facilities and electric BBQ. This is an excellent place for a family meet up or special celebration. 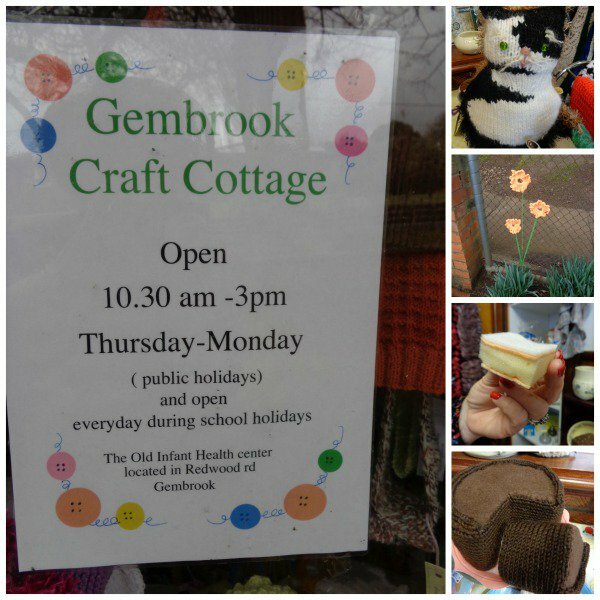 Before you head on home don't forget to drop into the Gembrook Craft Cottage in Redwood Road opposite the market. I just loved the knitted chocolate cake and vanilla slices. Clever crafting. At the moment the old Gembrook Pub is still not operating, hopefully one day in the near future they can get it up and working again. 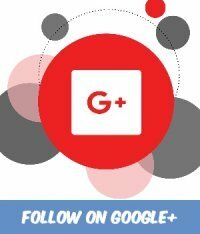 When and if this happens I will include the news here. As markets go, this market is small and intimate most times of the year however as the weather starts to warm up so does the number of stalls increase. Closer to Christmas sees a huge influx of the most amazing crafts and 'goodies'. 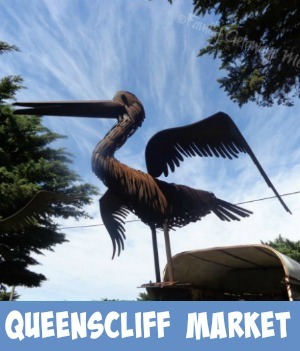 Be sure to make the time to get up into the hills to check out this country market. 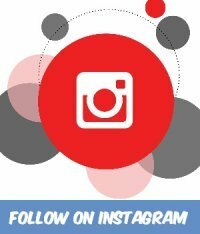 Make a day of it with the family as the Dandenong Ranges are full of many more exciting things to do.